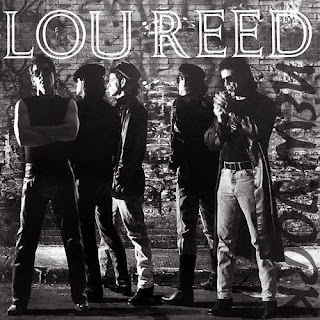 Hold On – From Lou's cackle at the start of this song, to his litany of the ills plaguing his New York (and thus, as far as Lou is concerned, the whole world), this one covers the whole kit and caboodle as well. “There's a rampaging rage rising up like a plague of bloody vials washing up on the beach”. I like the openness of Lou's guitar sound, but his playing is kind of pedestrian. Beginning Of A Great Adventure – A jazzy rumination about fatherhood. Rumor has it that Lou never wanted to have children because he thought would make a lousy father (how very self-aware of you, Lou), and that this was one of the sticking points between Sylvia and himself, which lead to their separation. Regardless, this song seems to counter that idea. “Sylvia, what do you call your lover man?” I wonder if she ever called him Eggplant, Rufus, or The Blob? I imagine she had quite a few choice names for him by the end of their relationship, though.